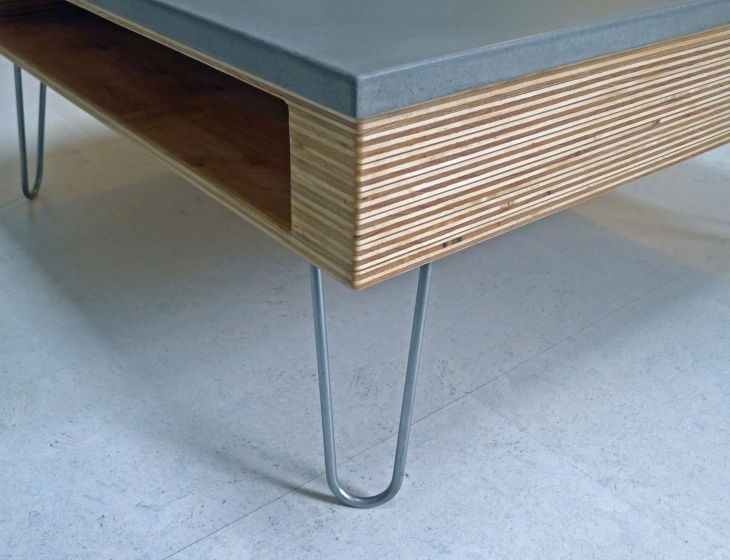 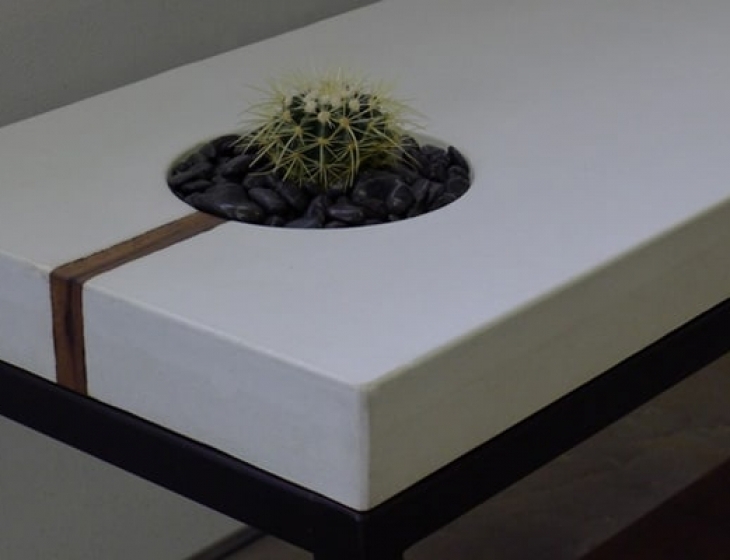 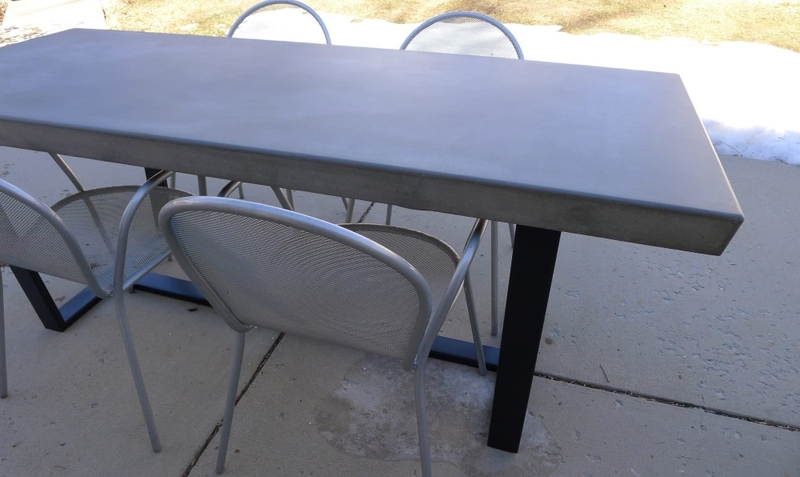 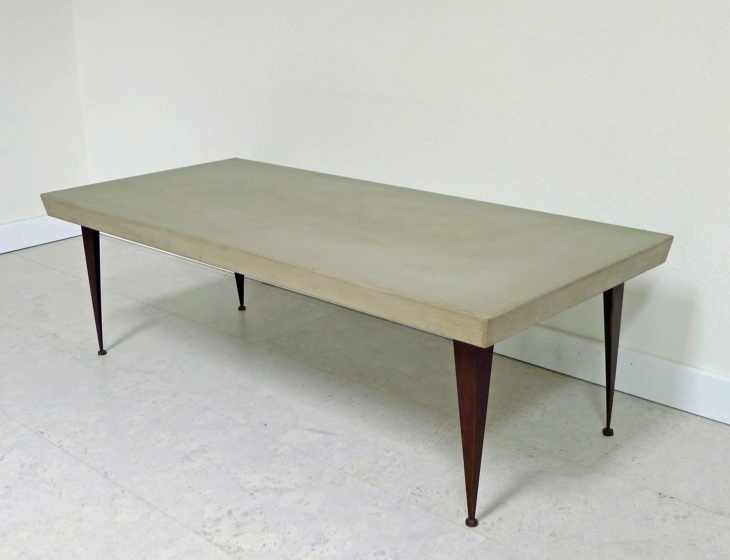 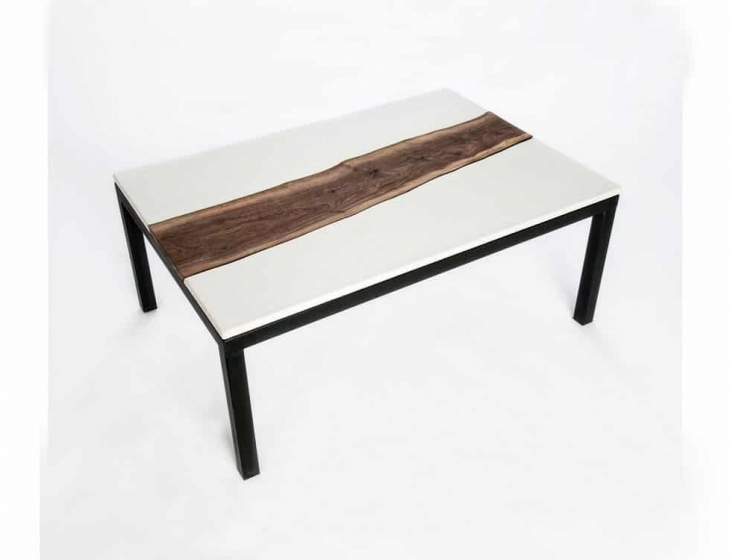 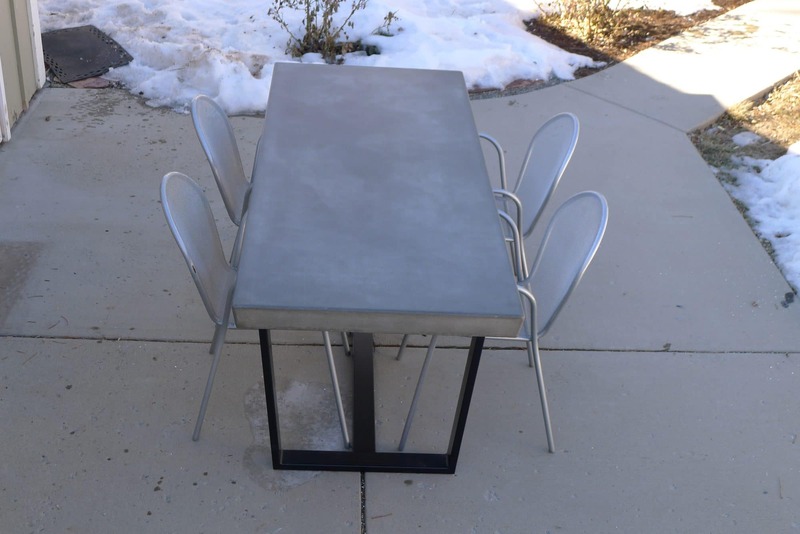 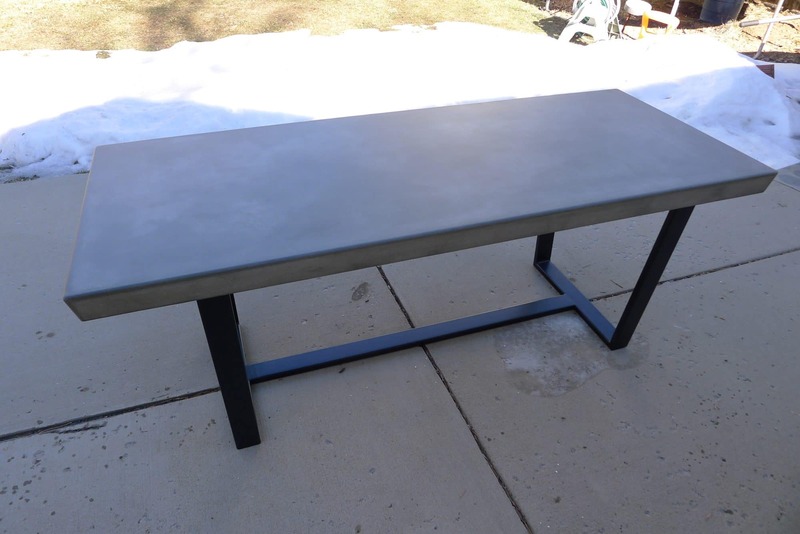 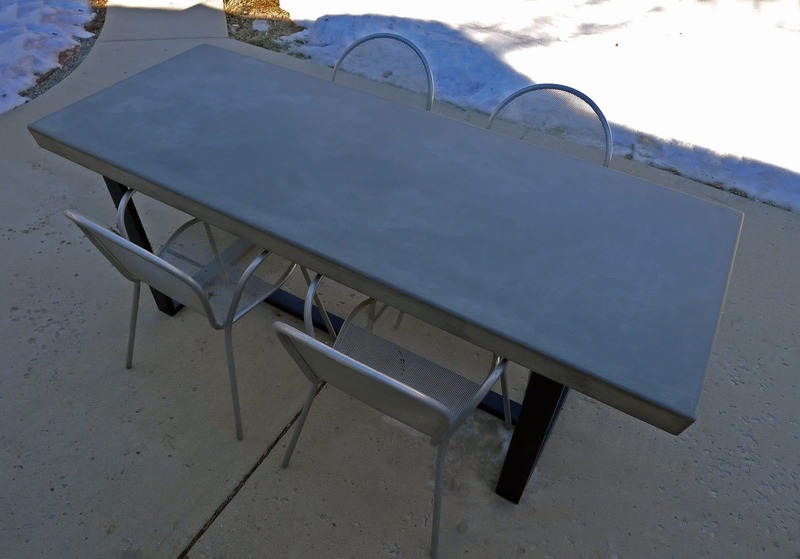 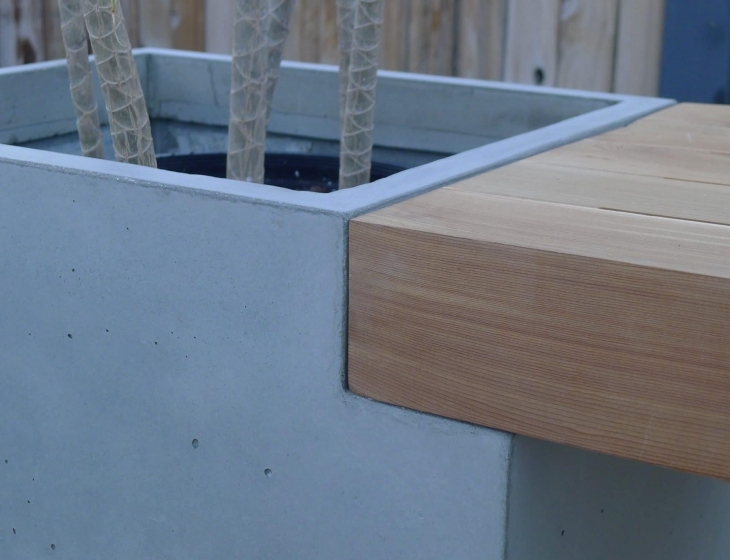 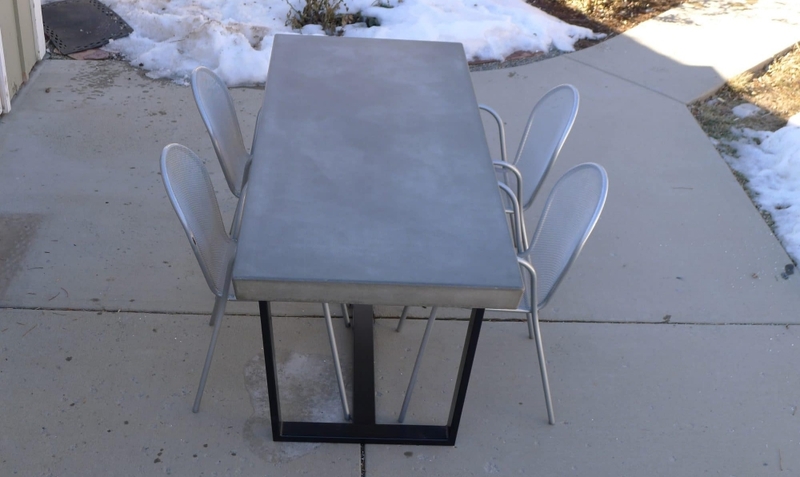 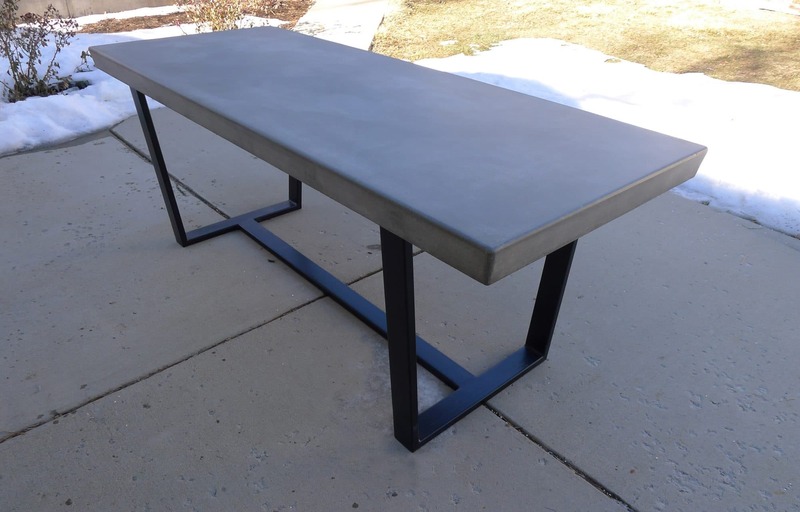 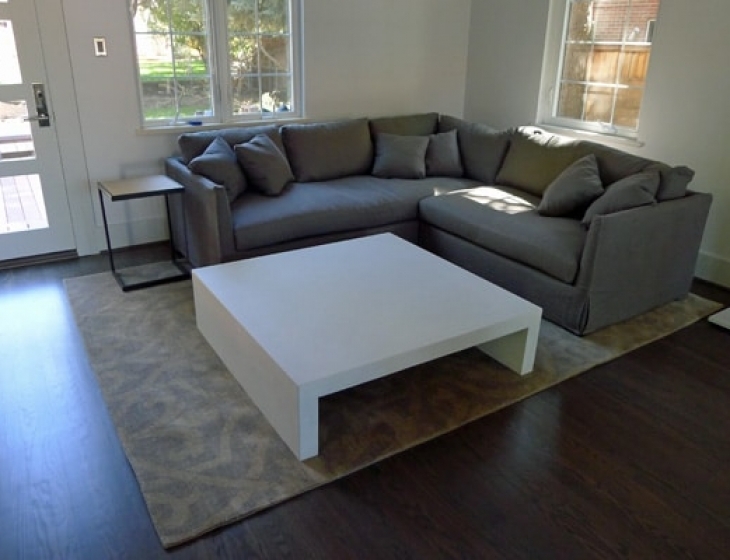 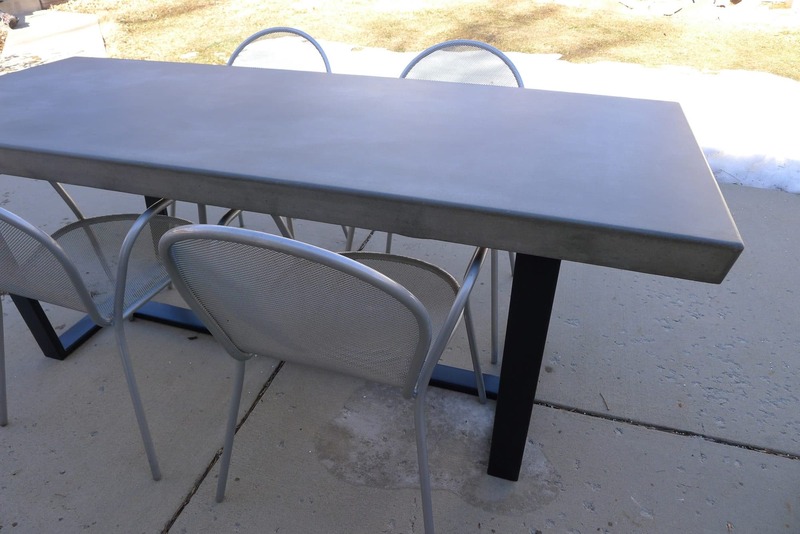 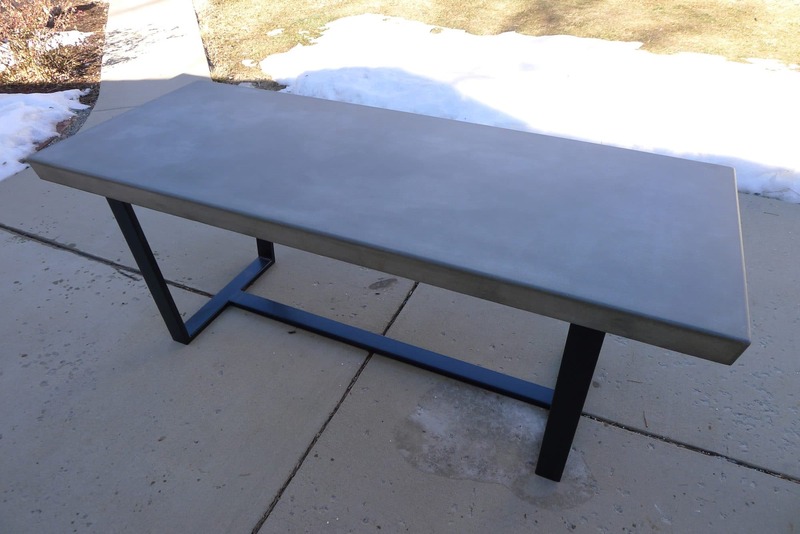 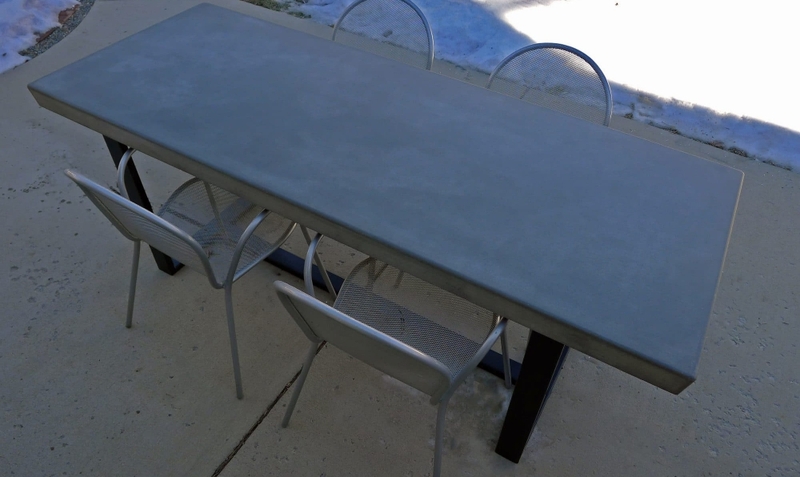 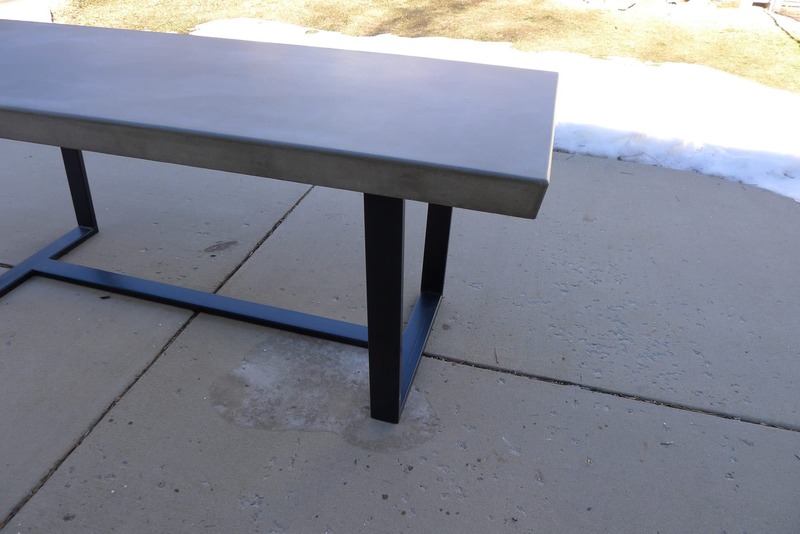 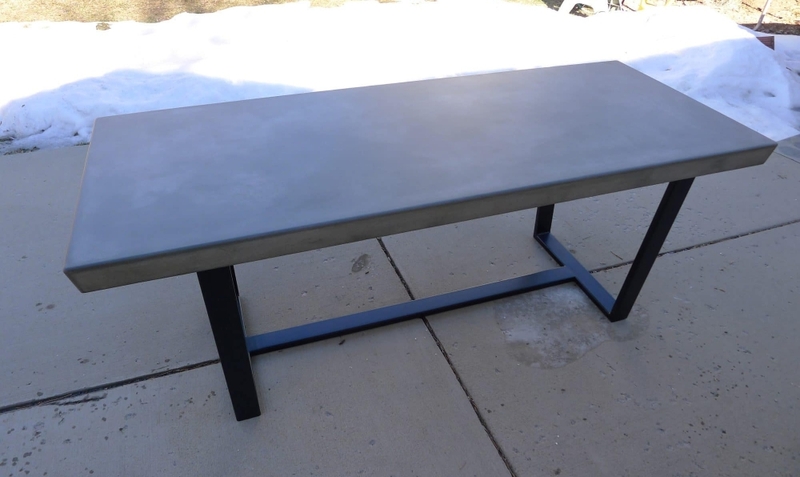 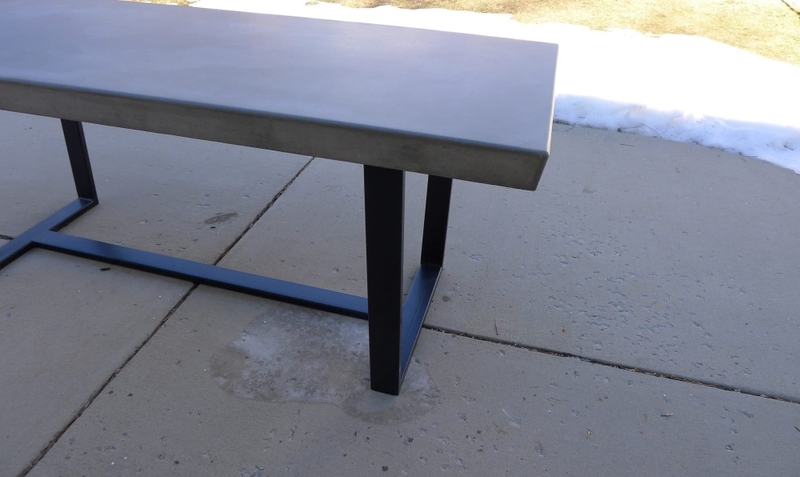 Natural grey outdoor concrete tabletop. 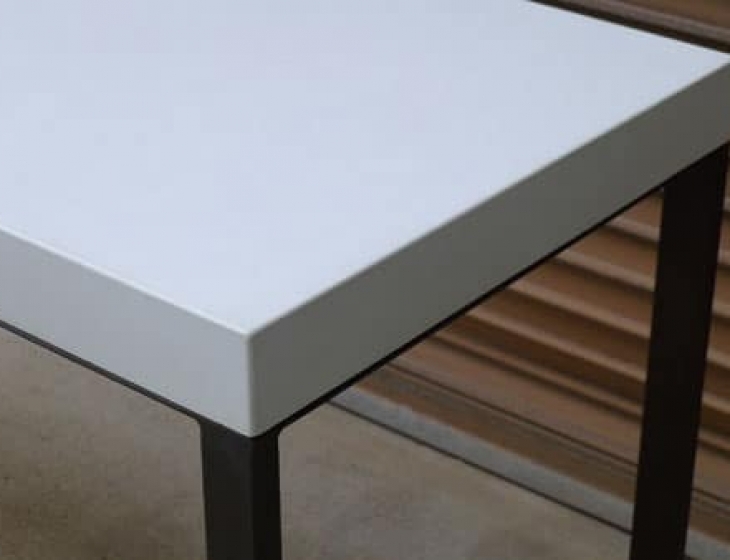 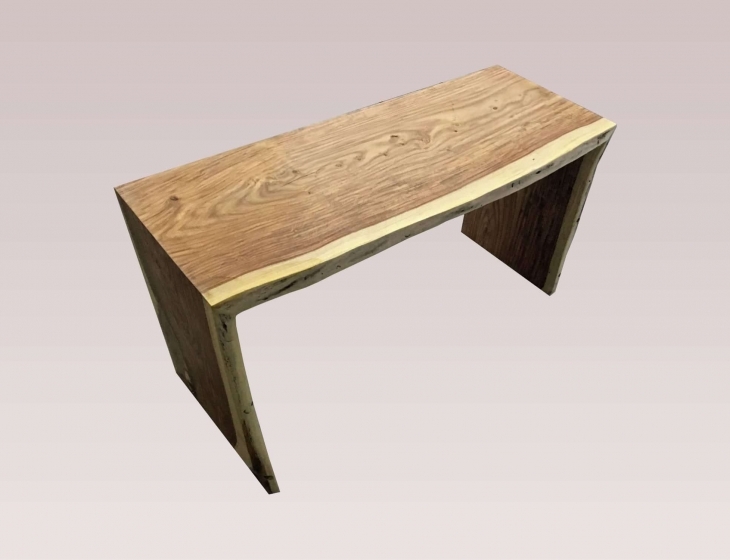 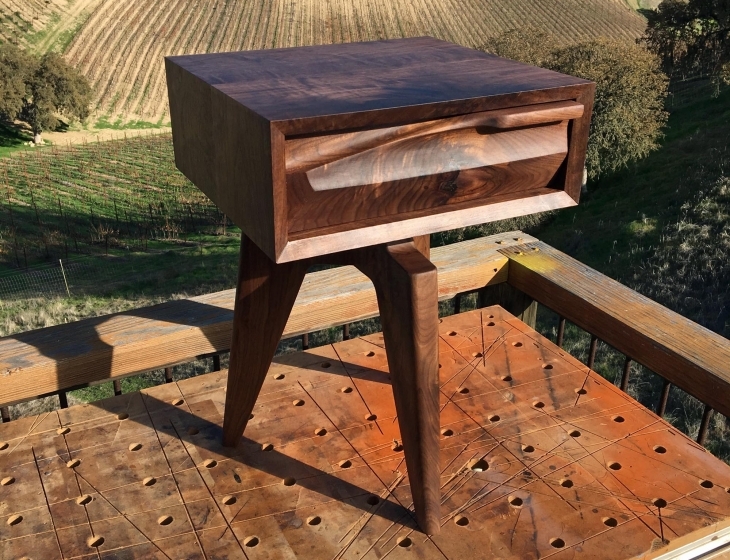 3″ thick with a 10 degree bevel on the edges. Powder-coated matte black steel base for exterior use.